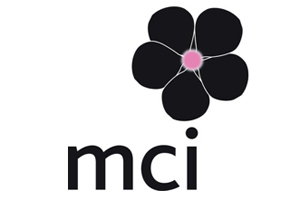 MCI Dublin won conference business worth £10m to the Irish economy in 2009. MCI Dublin secured contracts for eight congresses and meetings, attracting more than 7,000 delegates to Ireland. The agency said launching the MCI Dublin brand last year, following MCI's merger with the Ovation Group, allowed it to reduce costs and increase its global buying power. MCI Dublin director of conferences Jean Evans said: "The past year has tested everybody involved in the PCO sector. The financial pressure on suppliers, associations and corporations has been keenly felt and some businesses have fallen by the wayside. At MCI Dublin, we have confronted the challenges head-on, refocused our business plan and re-energised our performance to become a more competitive PCO provider, well positioned to grow in the future." MCI Dublin's key wins in 2009 included the extension of its contract with the European Association of Cardio Thoracic Anesthesiologists (EACTA) to provide full PCO services for a further three years. The agency was also appointed to manage EACTA Edinburgh in June and EACTA Echo Berlin in September this year.